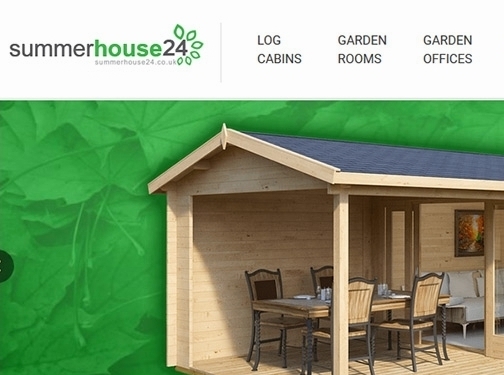 Summer House 24 is a member of the Hansa Garden Group. We are an international company that designs, produces, sells, and delivers log cabins to countries including the UK, Germany, Finland, Sweden and Spain. We have grown to become a recognized organization in Europe, built on a foundation of hard work and dedication. We provide customers with unbeatable pricing, secure online ordering, and impeccable customer service. Minimising our impact on the environment is central to all our operations. We have recently launched a fully interactive virtual garden room showroom in Totnes, Devon. Using HTC Vive latest and most innovative virtual reality system, the new technology provides a fully immersive experience, helping customers visualise and choose a garden room in atruly dynamic environment. They can walkthrough the building and change thelayout, colour, style, furniture and more. The current HTC Vive users candownload the free software from our website (at the link above) and access the virtualshowroom from the comfort of their home or office. 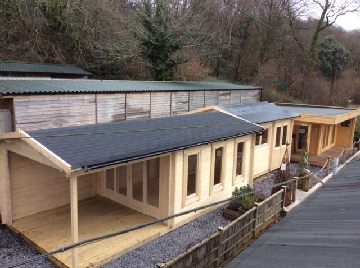 UK (Totnes Devon) based business providing wooden garden summer houses,garden log cabins,garden offices,BBQ huts, garages and sheds. Website includes e-commerce facilities, delivery and returns information, terms and conditions, associations, details of business services, full contact details including company registration number.